This has been the conventional wisdom at Doom3world.org and other Doom 3 mod sites for over a decade now. 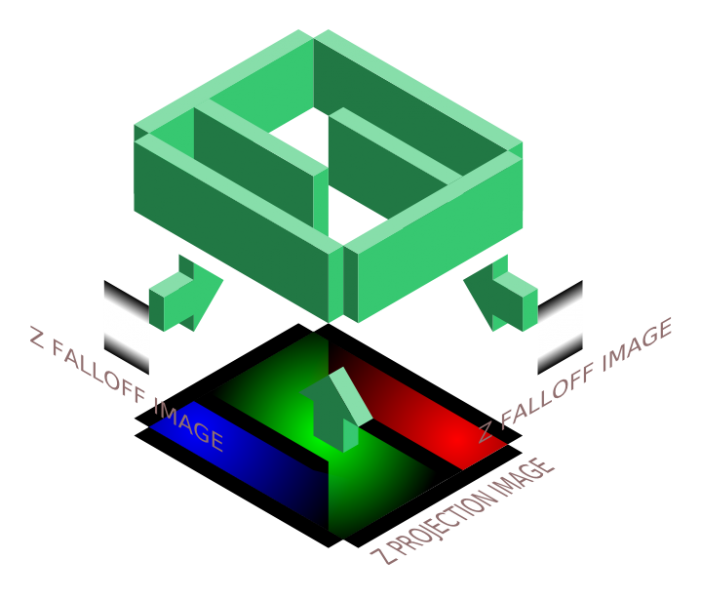 Most light materials doesn't even define a falloff image, allthough I've read that there is a default one used then. I have to take a close look to see how it works, but the interaction shader does not obviously reflect one of both possibilities. Wow, I'm speechless right now that's tons of useful information, Biker! I kinda wish I had sent you something better than this crappy stuff, but you managed to make so much out of it anyway! Thanks for your time, and congrats on the map, it looks very promising. Quality wise it's the the level I'm aiming at in the future. As for the doorway and room sizes, I used what I typically apply to T3/UT3 mapping: 64 x 128 is a size of typical doorway there, as the player collision model is around 48x 48 x 96. I don't know typical measurements in DR yet, but I'll find that out eventually. Edited by Judith, 09 January 2017 - 06:56 PM. 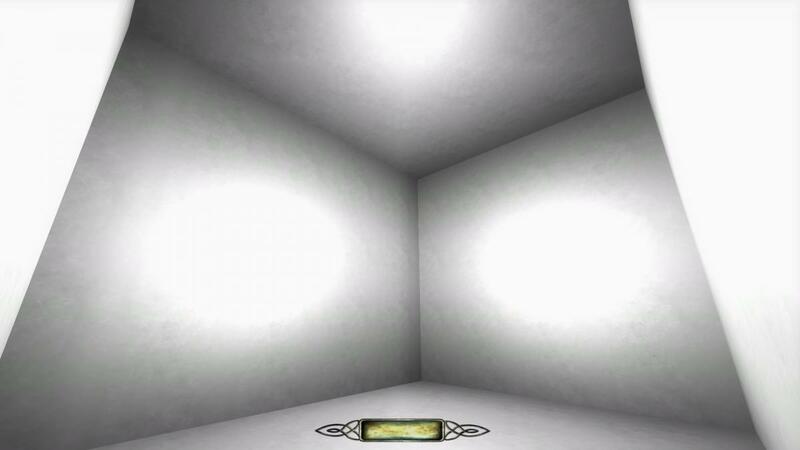 The reason something like big_round looks the same on all 6 sides of a room is because the center of the walls are closer to the source of the light than the corners. It's very hard to convey what is ultimately volumetric data in a 2D illustration. Re: positive geometry and approaches to building, especially outdoor city and nature areas, after studying a lot of maps in DR, I find the best approach is to make large 5-10 sided boxes (fitting maybe 3-6 building facades. Something in the order of 20'-30' high and 30'x60' wide or whatever, plus or minus. 4 sides is ok but boxy) with bottleneck kiss points opening into other boxes which avoid long lines of sight through both boxes (so e.g. tunnels or right angles are useful to close the connecting portal quickly when you pass through. Or just have them at good angles so you never see through 2 of them). One easy way to make such a box BTW is to draw out a large rectangular box in DR, then hit cntl+n, where n is the number of sides while it's selected. Then stretch out the box to the shape you want, and push the "make room" button to hollow it out so you can build inside. 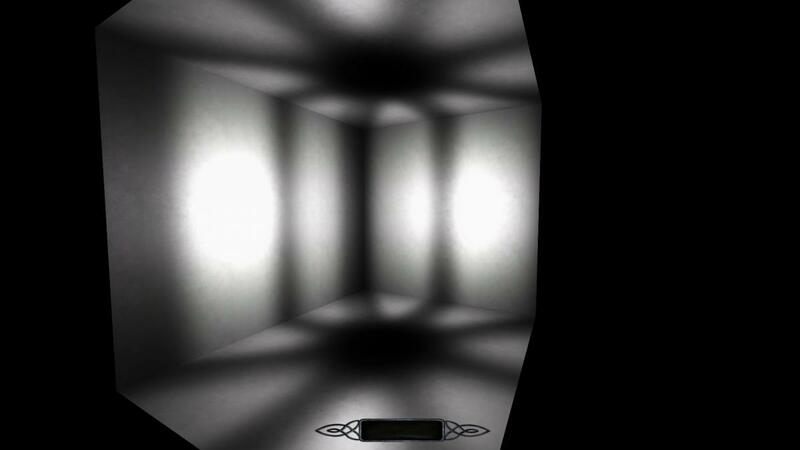 Then copy and paste walls to allow you to separate skybox, make "doorways" between boxes, etc. A slower way is just making angled walls for each side by hand. You can make big detailed areas if you plan well. It's all about containing geometry and strategic placement of portals to close off areas efficiently. I tried making my first custom material, I'm getting the hang of it. I'll probably create one .mtr file per material, because debugging anything with more than a few definitions in one file would be a pain for a GL code newbie like me. I could probably paste it all into one file later? Since I'm using all those for myself, I kinda skipped the folder structure and used the naming convention I'm used to (_d, _n, _s), and it was nice that DR didn't complain about that at all. Having everything in textures/myfolder is also nice and quick. Putting textures into .pk4 every time I change something is not But, I can either use MindTex, as Biker suggested (Crazybump is still 100 bucks ), or just preview textures in 3dsmax or Blender first. By the way, since .pk4s are basically zip files, have you thought about supporting other compression formats? .7z was pretty efficient with Deadly Shadows maps, and I see that it handles Darkmod missions pretty well too. Volta and the Stone is a 100 mb zip file vs. 80 mb when compressed with 7zip, IMO that might be worth looking into. Edited by Judith, 10 January 2017 - 02:52 PM. You do not need to compress your files during mapping. Compression is only applied when shipping the files/mission. Having a higher compression would be nice. But as most coding things, it will take its time to find its way into the code (if ever). Why not use NJob instead of Crazybump? It is free, fast, and functional. Makes great normals most of the time. You're absolutely right Melan, and I'm using njob most of the time. It's the material preview I need, so I don't have to jump into the game every time I tweak something. Also, I must be doing something wrong, because I have my .pk4 package in the main TDM folder, so I can see my textures and materials in the DR.
Edit: Oh, now I get it, I had to set up a path in a Mod (fs_game) to maps/myfolder for my stuff to appear in media browser. Whew, that will speed things up a bit. Edited by Judith, 10 January 2017 - 03:28 PM. Not sure why this isn't stickied. Edited by Judith, 10 January 2017 - 03:51 PM. reloaddecls will reload material files in real time. reloadimages will be needed to see any changes to image files (and doesn't work with .dds, unfortunately). And yes, TDM doesn't care about how many files there are for materialshaders...you can dump them all in one file once you're sure they're the way you want, or leave them in dozens. I tried making my first custom material, I'm getting the hang of it. I'll probably create one .mtr file per material, I could probably paste it all into one file later? I never tested DDS so perhaps it will work better with reloadDecls? I can't speak to what the code says, but I know how it works in practice. reloaddecls does not reload .tga files. reloadimages does. Neither will reload .dds files. I spent a lot of time dealing with .dds textures in T3Ed, I'll gladly stick to .tga this time. From the performance point of view dds should be the better choice, although I can't say how much the performance benefits from it. Using tga is more convenient, though. I might do the conversion later, if it helps with performance. I have an older laptop with 2,5 GHz CPU and GF 740M, that should be enough for initial tests. I generally assume that should have 60 fps everywhere, on both desktop PC and laptop, and any drops bigger than 5 fps need troubleshooting. Edited by Judith, 11 January 2017 - 05:20 AM. As you have an nVidia cpu you will be fine, you will only start seeing a slow down on the very largest maps. Regarding .DDS and .TGA files, your better getting into the habit of working with them from the get go. So from a workflow perspective, when it comes time to alpha or beta test the map you can copy and convert the textures folder into .DDS - I can help you with that. After some headache (the game didn't detect my textures, only editor did) I managed to get it right. reloadimages indeed works with TGAs and it's faster than texture tweaks in external software. You will need to convert to .DDS before you release the map though.